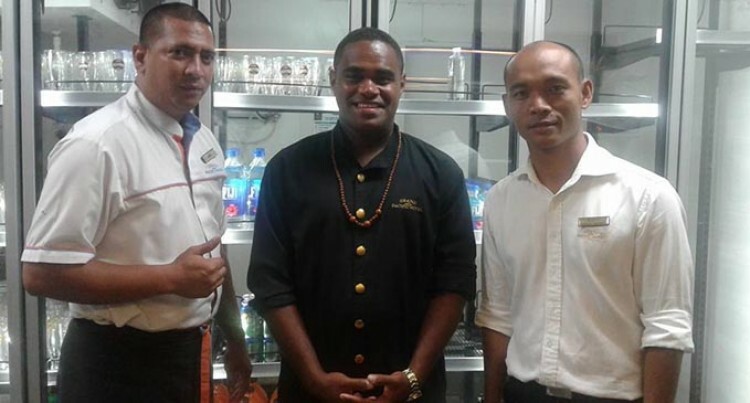 Sanaila Nasegesege, middle, with two other Grand Pacific Hotel staff in Suva on Friday. The six staff stayed at GPH on Friday night where they got to see the hospitality services. One of the staff Sanaila Nasegesege, from Bukama, Yasawa said that it was one of the best opportunities for him to have experienced the atmosphere of working at GPH. “The first thing that caught my attention when I entered GPH is the formality of their uniforms, it looks so neat and appropriate,” he said. He said that back in the Island, they wore Bula (floral) shirts all the time. “GPH have big rooms and there are a lot of guests,” added Mr Nasegesege. Mr Nasegesege said that in the Island, they could feel the pressure even if there were 50 guests. “There is a lot to manage, but when I saw how GPH staff dealt with 300 or more guests per day I understood how I should organise myself for the work,” he said.